The coming by-elections in Perak and Selangor will not be a game changer, it is only 2 years away from the real deal which is the PRU14. So who wins or who loses will not make the balance of power in our Parlimen to change. I would just hope that the parties contesting the election will field honest and competent candidates it matters not their gender or colour. I am sick and tired of watching politicians become YBs hold office and then do totally opposite of the things that took them forward thus far. No need to talk about Hudud lah atau apa kalau perangai dan kehidupan pun tak nampak Islamic nya. 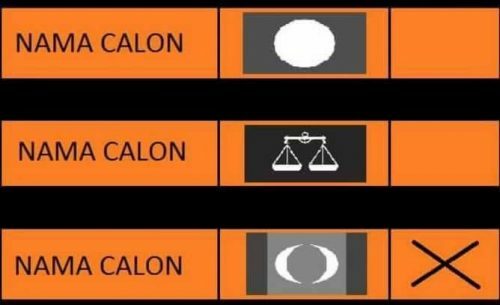 bila nak dekat Election yg Pas nak tanding ada je keluar cerita hudud. tapi 1st things 1st baik Pas letak calon yg amanah & berkaliber dulu. The Prime Minister Najib Abdul Razak himself announced after the Umno supreme council meeting yesterday, that the new Bank Negara governor Muhammad Ibrahim had lodged a police report against The Wall Street Journal (WSJ) under the Official Secrets Act (OSA) for revealing a letter purportedly from Bank Negara to Public Accounts Committee (PAC) chairperson Hasan Ariffin. Najib did not explain whether the Bank Negara governor had lodged the police report against WSJ on his instructions, but it would be very sad day in the history of Bank Negara Malaysia indeed if the greatest concern of the new BNM governor is not the global investigation and crackdown on 1MDB money-laundering and corruption allegations, but whether WSJ had committed an offence under the OSA. He has lost the moral compass to be premier when he is not concerned whether Good Star Limited was the genesis of the RM55 billion 1MDB global financial scandal and fraud against Malaysia and 30 million Malaysians, but only whether WSJ had committed an OSA offence in revealing Good Star Limited was in fact owned by Penang billionaire Jho Low. I was shocked a few days ago when Malaysia gained new international notoriety and the 1MDB financial scandal was described by a leading world news agency, Bloomberg, as one of the “world’s biggest financial scandals”. I have been a Member of Parliament since 1969, but I have never felt so ashamed as a Malaysian when I read of such a Bloomberg reference four days ago mentioning Malaysia in the same breath as “the world’s biggest financial scandals”. Where should Malaysians hide their faces? Shouldn’t Najib, the cabinet and Parliament be mortally ashamed and humiliated for the country to be referred in such a derogatory and contemptible manner, because we have allowed the 1MDB scandal to mushroom in a matter of six years to become one of the “world’s biggest financial scandals”? What is worse, at least six countries are investigating money laundering and corruption allegations connected with 1MDB, with the Singapore and Swiss authorities already launching a crackdown against institutions and individuals implicated with 1MDB. Yesterday, for instance, the former wealth manager of troubled Swiss private bank BSI was denied bail by the Singapore High Court and will await his trial in prison for two of the nine charges that are part of the city-state’s investigations into money laundering related to illicit money transfers linked to 1MDB. The Malaysian government and the Malaysian regulatory authorities, in particular Bank Negara Malaysia, are however blissfully ignorant or unconcerned about the chips about the 1MDB global scandal falling into place as a result of such foreign investigations and crackdowns. Is Malaysia an integral part of the global society of finance and instant information or have we walled ourselves into a “hermit state” which could ignore international perceptions, opinions and expectations? The Good Star Limited is a test case whether Malaysia is prepared to be a responsible member of the global community or trying to be a “hermit state” to cut off the country from the international flow of events. The question whether WSJ has committed an offence under the OSA in revealing a Bank Negara Malaysia letter to the PAC Chairman confirming that Good Star Limited was owned by tycoon Low Taek Jho, better known as Jho Low, must not be allowed to overshadow an even greater public interest issue. The issue being that the government had lied to Malaysians when it continued to pretend that Good Star Ltd, which has since been dissolved, belonged to former 1MDB joint-venture partner PetroSaudi International when in fact it belonged to Jho Low. The status of Good Star's ownership is important because it will determine whether 1MDB's funds had been siphoned away or that it was indeed used for investment. 1MDB had sent US$1.83 billion abroad for its joint-venture activities with PetroSaudi but US$1.03 billion of this sum was diverted to Good Star. The diversion would not be an issue if Good Star was owned by 1MDB's joint-venture partner PetroSaudi, as claimed by the government, but would raise serious concerns if it is owned by individuals or entities unrelated to the joint-venture - in this case, Jho Low, as claimed by WSJ. If the WSJ revelation is true, that Bank Negara had confirmed that US$1.03 billion (RM4.06 billion) in 1MDB funds had been transferred to an offshore company owned by a close associate of Najib, Jho Low, it would have tallied with the money-laundering and corruption investigations and crackdowns launched by six countries on 1MDB, and why 1MDB had catapulted Malaysia into the stratosphere of corrupt global nations with one of the “world’s biggest financial scandals”. In these circumstances, Malaysians are entitled to demand a reset of national priorities and that the Najib government should give top priority to render full and satisfactory accountability and responsibility for the 1MDB scandal over all other concerns, including whether WSJ has committed an offence under the OSA. LIM KIT SIANG is DAP parliamentary leader and MP for Gelang Patah. Yup some non muslims are way islamic than some muslims lah, YB Kit Siang pun ada rasa malu bila malapetaka 1MDB ini melanda negara..
....and yes if the opposition finally get their act together and win the next election they should repeal the OSA and ganti with a National Defence Document Act where only military documents can be embargoed from public view. 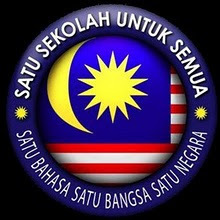 Since all the polical parties have baggage with them, an independent candidate each should be pushed for both PRKs, backed by the rakyat movement.